Dear B, I can't help but think of last year...at this time....and everything you did to capture our hearts, make us smile, and make us the proudest parents of an amazing little boy. I can't help but think about all the fun moments we had last year at this time - I want to hold onto the memories as long as I can before we have to say good-bye to these "a year ago" moments. Just last weekend someone reminded me about Lake Geneva's Winter Fest. Instantly, I remembered last year and how warm it was - the sculptures ruined in the warmth which stopped us from going to Winterfest. Instead we played outside, dug out your tricycle, and played in the warm sun as "Fool's Spring" rocked February and gave us a taste of an early spring. Just so I wasn't crazy, I went to the computer and pulled up these photos and found the date to be exact, February 7, 2009. In the house we went and put on your "worker guy" flannel and winter garb. Oh what fun we had! I distinctly remember you asking me that day if your friends were going to be outside to play with you. It absolutely melted my heart....you were starting to become such a big boy. On February 21st, we had a snow day and allowed us to have one more day in the snow. You were playing hide and seek with your buddy Jack and wanted to play in his snow covered sandbox - you sure did love your trucks! Another image of you popped in my head as I looked at these photos - you hugging Jack, telling him everything was going to be okay when he was crying one night. You had such a big heart - so much love to give. There are so many days and nights I feel so lost without you. I rock Owen and cry when my arms become empty again after I put him to bed. Sometimes I find myself holding Owen as long as I can at night just so the night doesn't have to end and another day doesn't have to start without you. 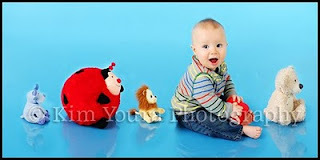 You'd just love your baby brother and all that he is becoming with his sweet, serious, playful, happy self. He's on the move, rolling, scooting, and ending up in places he never knew existed. I know you would tell on him or let me know what he was doing just like you would tell on Jimminy. It makes me smile to hear your sweet voice in my head. Another "last year" memory was when mama was able to go with you to story hour. In honor and celebration of Lincoln's birthday, Ms. Penny & Ms. Cindy read Who Made This Cake? You were so excited that you rattled off all the trucks in your high pitch voice. You sang your songs and made me so proud. Although I was tickled to be apart of such a special moment, it made me sad that was my one and only story hour I shared with you. Ms. Penny and Ms. Cindy gave that book to Owen, so we can continue to remember and celebrate those special moments we shared with you. Speaking of books, I bought Owen a book of Truckery Rhymes. I read it to him knowing how much you'd love it too, hoping you are near to hear me as I read it. I'm hopelessly searching for ways to make meaning out of everything. I feel as if my emotions are one big tangled mess - as I attempt to untangle it, it gets worse, knotting in other areas that weren't meant to get tangled. I'm searching for ways to untangle it and make sense of everything. A good friend of mine gave me a key and wrote inside a card that went with it, "There's got to be a key to unlocking the answers. A key to remembering B, and living a happy life 'til you and your whole family are together again. A key to feeling better, feeling joy, not numbness, and feeling normal." It's so incredibly true. I'm searching for that key to unlock so many answers and hoping that someday I can truly find and feel peace in my heart. I'm still in that phase of not understanding my feelings (that's obvious by my tangled mess expression). I'm surviving, but far from thriving....I can laugh at anything and cry in the same breath....I can smile when I talk about B, yet break down at the littlest things I miss about him....I can be in the presence of children, but turn down an invitation to a birthday party.....I can put Owen in the same crib as Braden, but I can't read the same books.....I can greet my colleagues with a smile, but I can't say "great" when asked how I'm doing. Although there are times I cannot cry for myself, I do become broken when I think of the mom who lost her son and yet "that" mom is me. 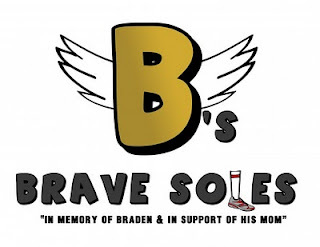 To try and find answers, I reached out and spoke to Braden as I was driving to work one morning. Tearfully I apologized for the lack of tears and the ability to "move on" without him. I also explained to him how I was trying to figure out my feelings and the big "tangled mess." After I wiped away the tears, I changed the radio station. At that moment, a song I haven't heard in a while came on and instantly I knew someone was trying to tell me something. The song was, "When I get where I'm going" by Brad Paisley and Dolly Parton. (copy and past to view: http://www.youtube.com/watch?v=yYHT-TF4KO4) Every word spoke to me that morning. As I was walked into school, I looked down and there was a capital letter B lying face down in the parking lot. That day, He gave me a sense of peace. As we approach the year mark, I'm dragging my heals. I have one month before I can no longer say what B was doing exactly a year ago. Instead, I'll be reminded of devastation and how my body, heart, and soul deeply ached with brokenness yet "survived" this type of loss. Lastly, I want to share how I've been "surviving" the winter. I snagged my sis into looking for a 1/2 marathon to run in March to help honor B and to help distract me this winter. Well, we found one alright! On March 21st we'll be running in the March Madness 1/2 in Cary. I mentioned the run to one of my co-workers (a non-runner by the way) and now we have a little team running on this date. Below is the t-shirt logo that my cousin/Godson Nick designed for us. Even though I've questioned myself as to why on earth I would train for something like this in the dead of winter, I think and even say out loud, "I've been through worse." 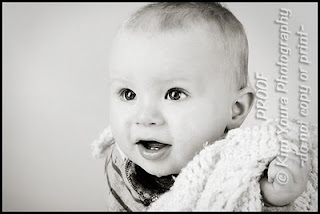 Of course, how could I end a blog without a few pics of Owen - 8.5 months old! He is truly the definition of hope, joy, and beautiful blessings.